The United Arab Emirates (UAE), in an effort to expand in critical markets including technology, has passed a new FDI law that will increase foreign investment interest in the country by creating a more open climate for foreign ownership. Conversely, amid escalating trade tensions with global technology behemoths and the American-protectionist slant on national security, the US is now subjecting FDI in technology business to greater scrutiny and imposing new restrictions on foreign ownership in US technology companies. These two contemporaneous, yet differing, stances have positive implications for the UAE’s economy, as foreign investors deterred by the increasingly arduous investment conditions in the US may now look to the Middle East for future tech investments. Whilst there may be potentially negative implications for investors from the UAE or elsewhere in the Middle East operating in the US, foreign investors aspiring to capitalise on the UAE’s market will also need to be aware of the measures Federal authorities impose to protect the country’s national and economic security. Historically, UAE law has restricted foreign ownership in any onshore company established in the UAE. The long- awaited Federal Decree-Law No. 19 of 2018 on Foreign Direct Investment (‘FDI Law’), however, which came into force on 30 October 2018, allows foreign investors to potentially have up to 100 percent ownership in a UAE onshore business entity in specific sectors. The new FDI law has been met with widespread acclaim, as prospects are bolstered for development by renewed interest from international markets – according to a statement by UAE Minister of Economy His Excellency Sultan Al Mansouri shortly after the new Law’s issuance, changes to the FDI regulations are expected to increase the volume of capital inflows to the country by as much as 20 percent by 2020. With the increased flow of funds, the FDI Law will be instrumental in attracting and directing FDI in line with the developmental policies of the UAE, including expanding the production base, diversifying it, and transferring and attracting ‘advanced technology’, knowledge and training. To ensure that funds are directed towards prioritised areas of development, the UAE Foreign Direct Investment Committee (‘FDIC’) established under the FDI Law, has been charged with issuing an impending ‘Positive List’ specifying the sectors and economic activities that will benefit from increased openness to international investment, including the Emirates in which such activities are allowed to be conducted as a foreign direct investment. Considering the stated objectives around advanced technology and its strategic significance as a non- oil sector, it is expected that the technology sector will feature on the ‘Positive List’. UAE Minister of Economy Mr Al Mansouri has already indicated that the fields of innovation, technology, space and Artificial Intelligence (AI) are considered to be critical forces of change in the transition to an advanced digital economy, and modern technology within these sectors is likely to be a key target beneficiary of the access route to international investors. Whereas the UAE is in its infancy in becoming a leading hub for high-tech innovation, the US represents a far more established, and even dominant market in this sector. According to Forbes, as of 2018 the US was home to seven of the top 10 technology companies in the world (Apple, Microsoft, Alphabet, Intel, IBM, Facebook, and Oracle), with the remaining three hailing from South Korea (Samsung, ranked 2nd largest in the world behind Apple) and China (Tencent Holdings and Hon Hai Precision Industry). Foreign investment in the United States is controlled and reviewed by the Committee on Foreign Investment in the United States (‘CFIUS’) – a Treasury-led inter-agency committee. Previously, CFIUS primarily focused their efforts on investors who had intentions of owning a controlling stake in a US company. In practice, foreign investors were incentivised to voluntarily seek review and approval from the CFIUS anyway, due to the committee’s power to adversely affect a business’s investment opportunities, by blocking or unwinding the investment. Under the new regulations, however, the scope of the CFIUS’ authority will be expanded in that review for foreign investors will now be a mandatory process for many acquisitions. This will have profound implications for investors that are contemplating vesting their financial interests in the US, as their discretionary protection from inspection by the US government will be removed. The regulations were created in response to a growing bipartisan consensus over a perceived threat to national security from foreign companies that are supported by foreign governments. Recent hostilities with companies such as Huawei and ZTE exemplify this trend, featuring a convergence of different types of trade controls, tariffs, blockades and economic sanctions, which expose the political and security underpinnings of technology trade. The regulations are not myopically focused on a single collective of international investors, however, and their extensive scope will have far-reaching implications for overall foreign investment in a much broader scope, including any investment interests out of the Middle East. Earlier in 2018, President Trump signed the Foreign Investment Risk Review Modernization Act (‘FIRRMA’). This new law broadens and modifies the authority of the President and the CFIUS by expanding the scope of foreign investments in the US that are subject to national security review. The new US regulations apply to ‘critical technology’ which is defined very broadly. Nearly all significant or emerging areas of technology are affected including biotechnology, artificial intelligence (AI), computer vision, position, navigation, and timing (PNT) technology, microprocessor technology, advanced computing technology, quantum information and sensing technology, logistics, additive manufacturing (e.g., 3D printing), robotics, brain-computer interfaces, hypersonics, advanced materials, and advanced surveillance technologies. At this stage, the new US regulations are temporary ‘pilot’ rules that took effect in November 2018 and may be subject to change once superseding permanent regulations are introduced around 18 months after FIRRMA’s enactment. In addition to the recent tensions that have ratcheted up in the technology field, security concerns around technology are compounded due to the sensitivities related to Dual-Use Goods (‘DUG’). Such items are subject to trade restrictions due to the potential co-optation of their componentry for nefarious use for which they were not intended, particularly in conflict and military-related contexts. Radios, chlorine and aircraft parts are all examples of goods with multiple legitimate uses, yet all are subject to strict export controls to limit their potential to be supplied to high-risk jurisdictions or entities. Technology, due to its versatile nature, is a particularly common inclusion within dual-use lists, and the US has taken steps to deploy a fortified defence against supply of designated DUGs. On the very same day as the introduction of FIRRMA, the US passed sister legislation known as the Export Control Reform Act of 2018 (‘ECRA’), primarily orientated at improving control of export and supply of sensitive goods. Part 1 of the ECRA, the Export Control Act, mandates that the US authorities must improve the level of oversight in its dual-use export control system and expend greater efforts to identify and control emerging and foundational technologies that should be subject to export control. These regulations may have a profound impact for investors and developers working in the realm of new technologies. Despite the seeming opposite trajectories of the US and UAE FDI trends, the UAE’s opening-up to international investors in the technology sector should not be taken as a sign of diminished national security. 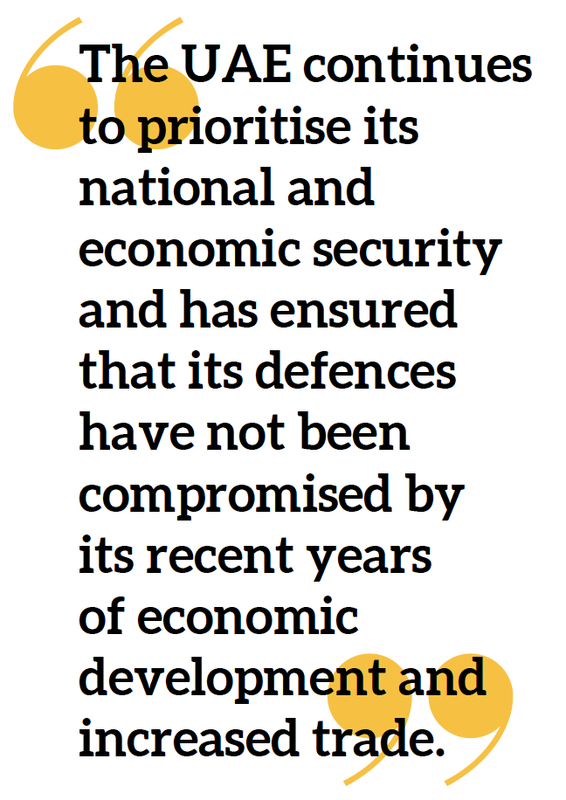 On the contrary, the UAE continues to prioritise its national and economic security and has ensured that its defences have not been compromised by its recent years of economic development and increased trade. In regard to DUGs, the UAE implements all restrictions imposed under the United Nations (‘UN’) sanctions framework, either implemented under the umbrella of the World Trade Organisation General Agreements on Tariffs and Trade, or otherwise targeted as part of an embargo or trade restriction for peace and security purposes issued by the UN Security Council. Moreover, it has drafted its new FDI Law in such a way as to balance its national security requirements with its objectives for global connectivity. This may pose as a challenge to emerging forms of applied technology such as Fintech and Insurtech, which span both technology and finance and insurance industries, and may not receive the same incentives as FDI in renewable energy. This should not be taken as a deterrent, however, as FDI not included on the ‘Positive List’ can still be applied for by a foreign investor and subsequently approved by the Council of Ministers at the request of the local government, the recommendation of the FDIC and upon presentation by the Minister of Economy. When reviewing FDI applications, the FDIC will consider a range of criteria revolving around the perceived benefit to the UAE economy. Although the sectors and activities to be included in the ‘Positive List’ are still to be announced at the time of writing of this article, the FDI Law is widely expected to boost activity and attract investment in technology business in the UAE. A Future for Foreign Investors in Tech? With changing approaches to FDI in both the US and the UAE, foreign investors will have to take into account the new laws in both jurisdictions. Middle Eastern residents looking to make investments in US technology, or Middle Eastern companies holding US subsidiaries will have to adjust to the restrictions and higher levels of scrutiny that the new US regulations impose, largely as a result of its increased focus on national security concerns surrounding trade flows. Any new investors that have been diverted to the UAE by the US’ stringent national security measures in the technology sphere, meanwhile, should make sure they are aware of the UAE’s own protective measures, in order for them to make the most of the opportunities available in the UAE’s burgeoning market.